Building a new home is an exciting and stressful time. Many people think that if they are building they can forgo a inspection but that is a common misconception. 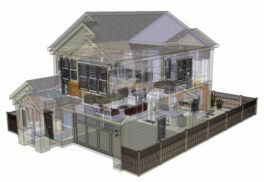 Permits are required and inspections are completed throughout the build. Still many things are overlooked and many inspectors find that new builds are often more time consuming than older homes. A new home inspection is always recommended. During an inspection the focus will be on defects and deficiencies. Defects are areas that do not meet construction standards or items a that can benefit the new home owners when improved. Deficiencies can also include areas that are incomplete and with your realtors or lawyers support can be listed on your Purchase Agreement. In the case of deficiencies money can be withheld until these areas are completed to ensure accountability. It is also important to note damages as they are not covered by your new home warranty. Phase inspections are important to ensure that the builder fulfills the contract that has been entered into. Inspections throughout the process allow you to get a better idea of the materials being used and the quality of work. These areas are usually not visible after construction is complete and you have taken possession. New home phase inspections or phase inspections take place over a period of time while the home is being built. Phase inspections usually involve three separate inspections. The final inspection takes place after the home is complete, usually around the time of your initial “Blue tape” walk-through (Final Phase Inspection). After an inspection is completed you will be able to rest assured that there should be very few surprises in the future. Next post we will focus on what the next steps are after you take possession and the importance of an 11 month inspections.